The Two Sides of Ana: Episode 9 | TeleNovela Channel - Bringing you closer to lifes drama. When one door closes, Vicente hopes another one opens as he convinces Rafael to return to the company. 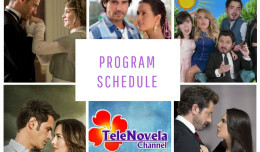 Ana gets an advice to give Gustavo a second chance while taking her revenge with the Bustamantes.